Today, we are going to talk about 4 subjects. The first one is a new computation of Ambient Occlusion, the second one is reflection, as I said the last time. The final part of this article will be on GI and about a graphic engine. Even if we are going to talk of several subjects, it will be fast because I don’t have too much things to say on every field. where and are a « random » variable. If you want the « real AO » (real is not just, because Ambient Occlusion is not one physic based measure), you have to raytrace this function, and take care about all of these members. So, we want to approximate again this formula, and, now, we have 2 textures, and the second one is the normal map, another own the position map. If you want to know the AO in one point, you have to take few samplers around this pixel (the sampling area is a disk in my code). We don’t need really the view function, indeed, if you take a sampler no « empty », you have one intersection, and if the cell is empty, , so doesn’t matter. 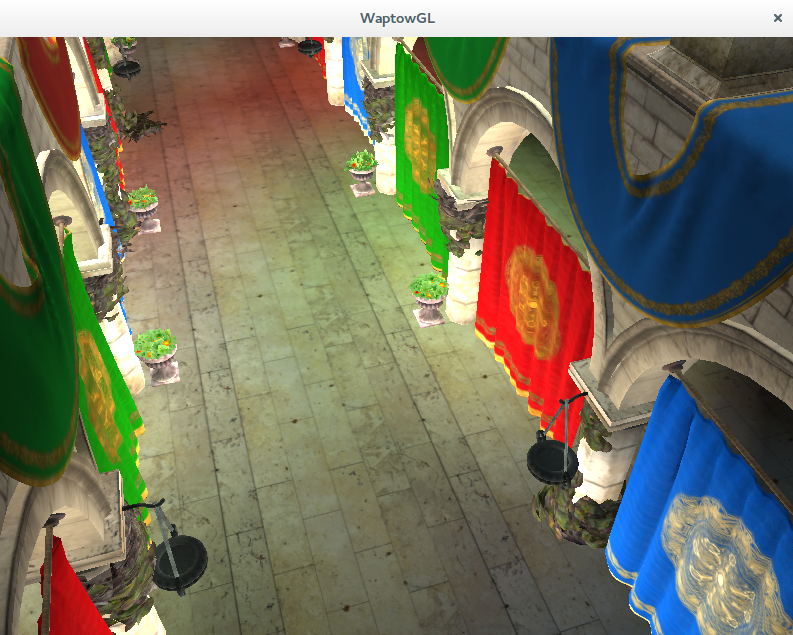 For that, you perform the calculation over the screen divided by 4 (2 for width, and 2 for height), and you can apply a gaussian blur with separate pass thanks to compute shaders. For one rendering in 1920 * 1080p, (Thus, the occlusion map size is : 1024 * 1024), the ambient occlusion pass take less than 2ms to be computed. I have nothing to say about reflections, I don’t use the optimisations of László Szirmay-Kalos, Barnabás Aszódi, István Lazányi and Mátyás Premecz with their Approximate Ray-Tracing on the GPU with Distance Impostors. So, it is only a environment map, like omnidirectional shadow (the prior article). The GI, is bounces of light on different surfaces. You can see blue, green, and red on the floor. I don’t implement a very efficient model, so I gonna to present you only the way and the idea that I found. So, for our mathematical model, we use for cos clamped between 0 and 1.
is called « Albedo ». For the clean snow, is close to 1, for a very dark surface is close to 0. The basic idea behind my algorithm is based on Instant Radiosity from Keller. We render the scene from the light source, on a very little FrameBuffer (8*8, 16 * 16, 32 * 32, or 64 * 64 (but it’s already too much) ), and thanks to shader buffer storage, for each pixel, we can store on this buffer our lights. where PHONG (Phong lighting on google) is calculation of the power of light in x and Kd is the colour of the object touch by light. After that, you just have to render lights like other. So, for the new project, I will begin to write one open source graphic engine. I will try to do it totally bindless. 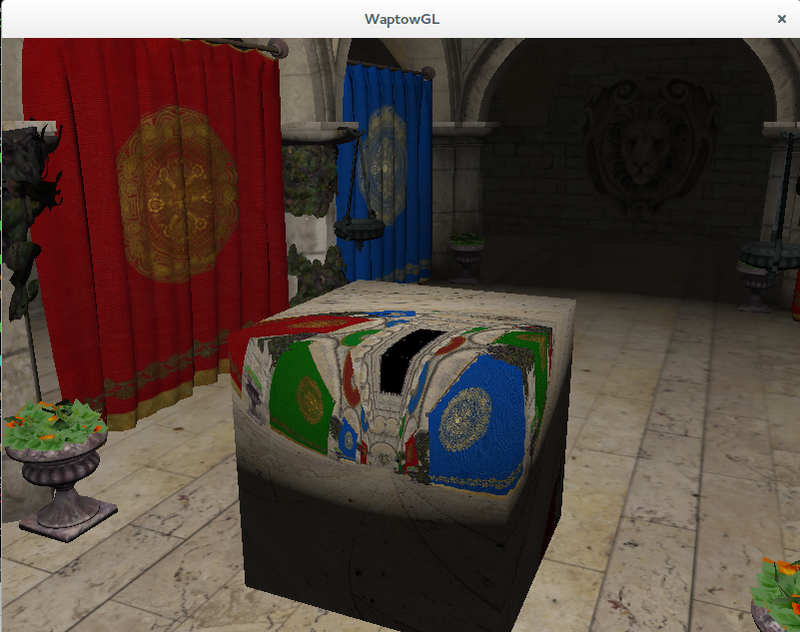 (Zero bind texture : extension bindless texture, Few bind buffer : Only few big buffers). I will implement a basic tree of partitionning space totally in GPU thanks to compute shaders. I will implement phong shading or phong brdf (if I success ^^).